You are bigging a Clean kit - 3-in-1 Cleaning Kit. The auction comes with one Lens Pen with Brush and one Air Blower. * Environmentally friendly and non-toxic. * Removes dust, erases smudges and does not leave residue. * 100% safe to all lenses. * Unique cleaning compound will not spill or dry out. 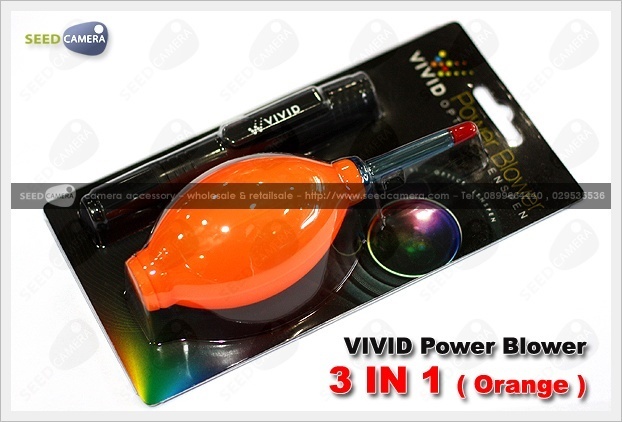 * Perfect for cleaning digital SLR, SLR, digital camera lens, binocular lens, and telescope lens. * Made of environmentally friendly and non-toxic silicone rubber - resistant to fire. * "Brushes" away unwanted dust from your sensors, lenses, or other sensitive equipment with a powerful blast of clean air.